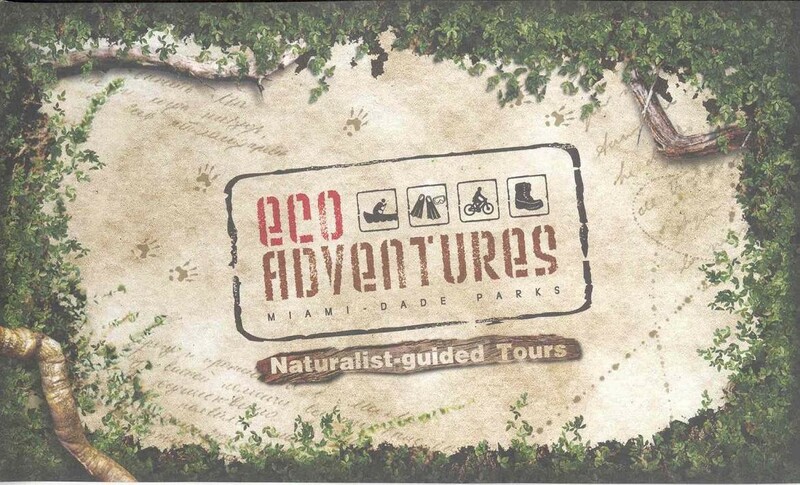 We are EcoAdventures, anchored in Miami and established by the nationally renowned Miami-Dade Parks system – one of the largest networks of parks, beaches, wildlife-landscapes, wetlands, and recreational gems in the entire United States. Masters of outdoor discovery, we are adventurers, educators and stewards of the fascinating subtropical South Florida ecosystem that is our wilderness playground. We invite you to come explore it with us. EcoAdventures offers outdoor excursions tailored to all ability levels and skills. Whether you’re a seasoned nature explorer, or a novice with a desire to learn, EcoAdventures can help you determine which programs are best suited for you. Go on a wildflower walk in the Everglades, kayak offshore of Key Biscayne, canoe quiet backwaters, backpack into remote wilderness areas, camp overnight at pristine backcountry campsites, enjoy a day of kayak fishing with an expert guide, join a nighttime owl walk, bicycle through the Everglades or through the historic Redland, go star gazing, or even go snorkeling over a 1500 year old fossilized reef. These are just some of the more popular outdoor adventures we offer to locals and tourists alike. Give your body, mind and sprit the gift of a paradigm shift. Nature is calling… Get EcoActive.